They rose up from inside each of Cincinnati's 52 neighborhoods, mostly one by one; some came in small groups -- in all, 315 volunteers came forward to circulate the Parking Plot referendum petitions. 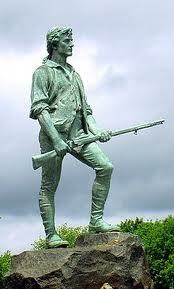 They were -- to a person -- modern-day minutemen coming to the aid of their government and society. Who were these people and how did they find petition drive leaders to obtain supplies, get training, and get plugged in to participate in one of the greatest spontaneous citizen uprisings in recent memory in Cincinnati? They are, in the best traditions of America, citizen activists who read the paper, watch the news, listen to talk radio, read the internet and choose to get involved for the betterment of their community. Most have never volunteered on a political campaign in their lives. They were Republicans and Democrats, liberals and conservatives, black and white, young and old, male and female, eastside and westside, and north and central, and even blonde, brunette and redhead. Because of the reach of the media, and the power of the internet, interested volunteers mostly sought out campaign organizers, found petition forms and instruction sheets, and began circulating. We had rallies and organizing meetings, friend asked friend for help. More than a hundred businesses asked for petition forms to carry on the counter of their business. Second only to the Super-Sized Jail Tax petition drive, the 315 volunteers who joined the referendum drive against the Parking Plot was a record for the NAACP-COAST citizen-led initiatives over the past six years in two senses: (i) number of volunteers and (ii) the margin of signatures obtained over the required number. They collected a combined 19,803 signatures to place the issue on the ballot, and force Council to rethink its budget priorities. The 315 -- the backbone of our participatory democracy, the backbone of the minutemen spontaneously organizing for liberty. And now tat they have been organized, they stand ready in case Council even attempts to re-enact the Parking Plot with a second ordinance. I was, am, and remain proud, therefore, to be dubbed one of your/ our THE 315!